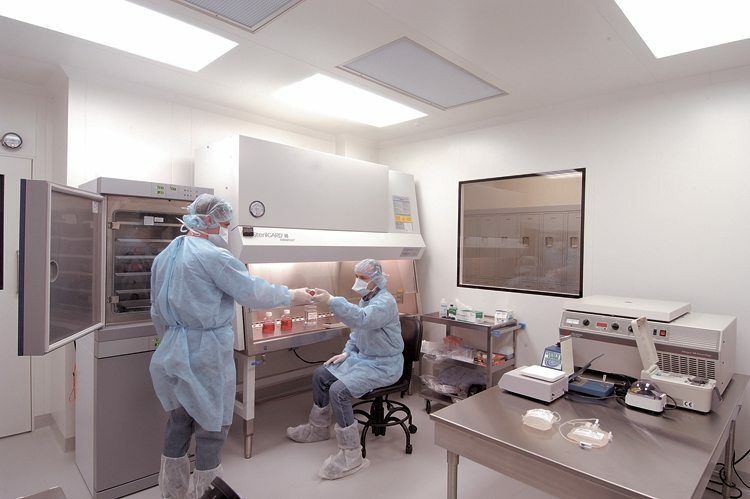 The state of-the art research facility dedicated to helping produce modified cells for treatment of cancer and other diseases recently opened at the Siteman Cancer Center. 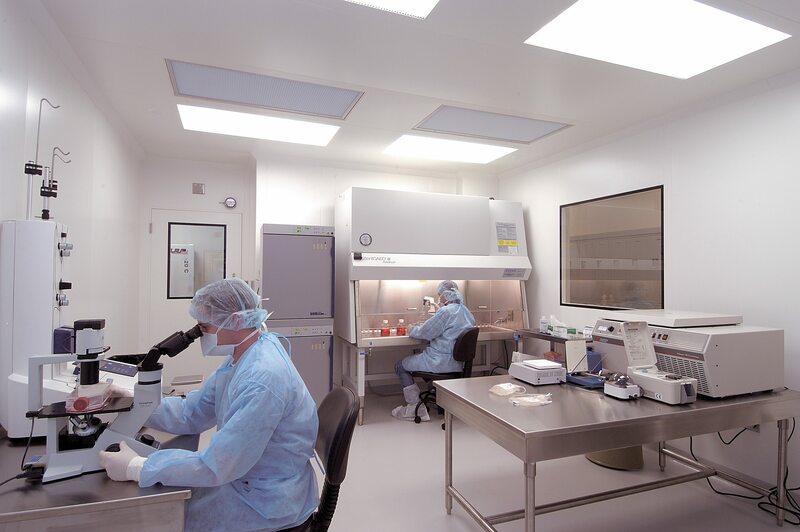 The GMP includes six manufacturing rooms where scientists can work independently on different projects. 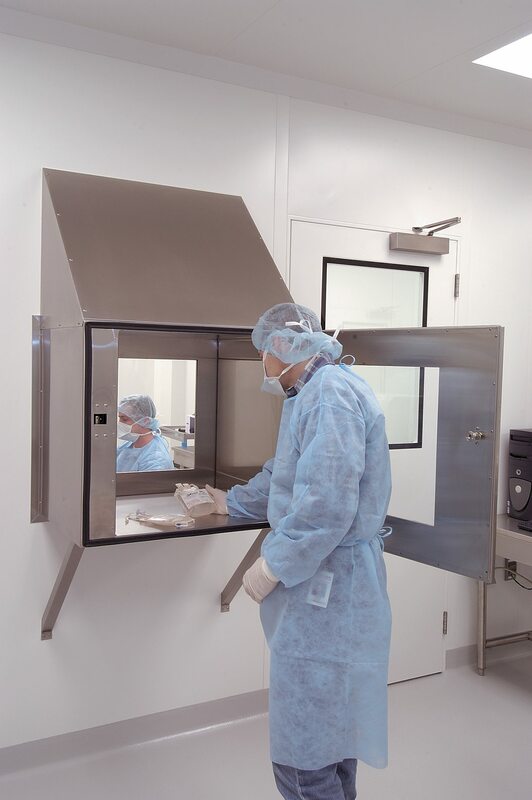 The rooms are built from durable materials and equipped with tight security to eliminate any possibility of cross-contamination. 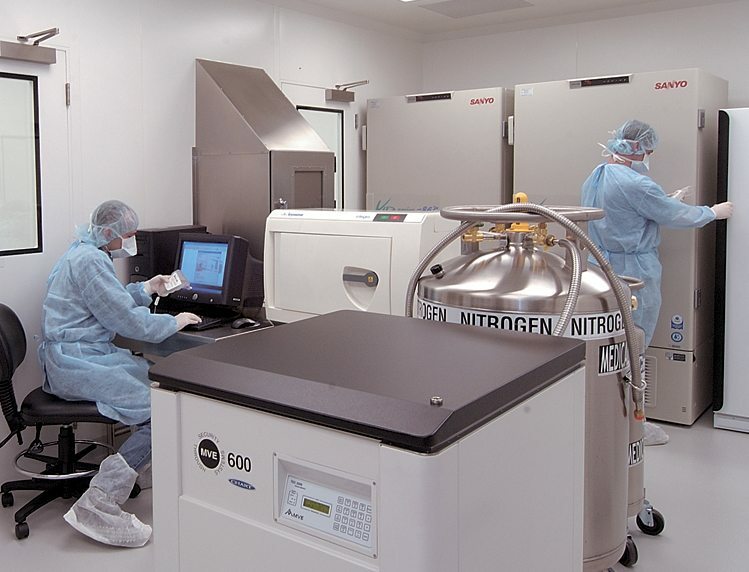 The six cell processing lab clean rooms, were designed to a maximum 1000 ppm.,with mechanically isolated pass thru to an intermediate room designed to a max 10,000 ppm. The intermediate rooms will be fed by common gowning rooms to keep the facility validated to the FDA Guidelines for GMP facilities.